It's been a pretty wild couple of weeks for Roku, the company behind the popular streaming boxes of the same name. They've announced their latest device, the Roku 4, a 4K-enabled streaming box that will compete directly with the latest versions of the Apple TV and Amazon Fire TV. Despite everything that's going on, Roku Founder and CEO Anthony Wood was kind enough to make time to answer a few questions for us. We communicated with Mr. Wood by email and sent him this batch of questions shortly before the Roku 4 was officially announced. Here are his answers, presented in their entirety. 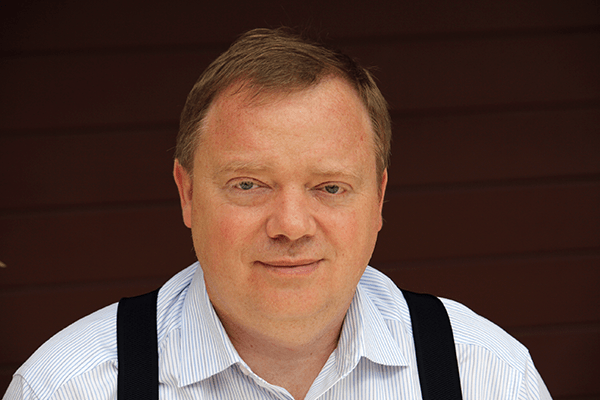 Q: What is your typical day as the CEO of Roku like? A: It's fun. Our company is completely focused on how to make TV better for everyone. I spend a lot of time focused on our strategy, and the products we sell (Roku streaming players, Roku Streaming Stick, licensing our Roku OS, etc). Q: What are your most important current concerns? A: I'd like to scale Roku faster. Hiring is one of those barriers and here in Silicon Valley it's crowded – if anyone reading this want to work at Roku – we're hiring! Check out our jobs page. We also have R&D offices in Austin, TX and Cambridge, UK. Q: You have described Roku as a platform company. In your opinion, what are some of the largest challenges in bringing a common platform to the TV world? A: In order to be the world's TV platform, we have to have a lot of scale. We have made great progress with 7.5M monthly active accounts. Initiatives like Roku TV are key to scaling our platform quickly. Q: You've been asked a lot about Roku's competition against Amazon, Apple, and Google. But what about smart TV manufacturers like Samsung, Sony, and Vizio? Do you consider their operating systems competitors to Roku TV? A: The Roku TV models our OEM TV partners make are competitive with TVs from brands like Samsung and Vizio. If you look at some of the TV reviews from CNET and PC Magazine you'll see that Roku TVs outrank similar models from these other brands. It's a lot of work to build and maintain a streaming platform, and in time we expect the majority of TV makers will turn to licensing. Over 20 models of Roku TV are now available at major retailers nationwide, from five different TV brands. The fundamental economics in the TV business don't support each TV company creating their own software platform and licensing all the needed content and maintaining those relationships, and content partners are not willing to support many different TVs. All of this will drive consolidation in the TV business around one or two operating systems. Roku OS is a leader today in the US. 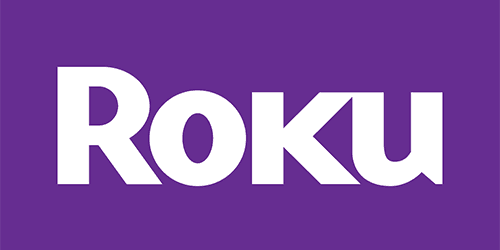 Q: In my understanding, Roku's revenue consists mainly of hardware revenue (media player sales), licensing revenue (TV software, whitelabel for Pay TV), and content promotion revenue. Could you break down your revenue streams a bit (e.g., how many percent of your revenue comes from media players and how many from TV software and content promotion), and could you elaborate a bit where you would like to head in the future (e.g., focus more on your media players/TV software)? I'm asking this partly because with competitors, such as Amazon, offering their media players cheaper and cheaper, the margins of media player sales are probably diminishing. And, on the other hand, you've stated that your goal is to be the operating system for TV, so focusing on the TV software side would seem natural. A: Our revenue is divided into two buckets – 1) devices and 2) media and licensing. Devices is made up of the players we sell in retail. Unlike some of our competitors that subsidize their hardware, we generate profit on all of our streaming players. Our OS is designed to run on inexpensive hardware with great performance. Media is comprised of the dollars flowing through our platform both in terms of entertainment promotion and consumption as well as advertising. When someone buys a movie or game, or subscribes to a service on the platform, we participate in those dollars. We also sell video ad inventory through AVOD channels. Our ad business is growing very quickly. We license a TV reference design and our OS TV OEMs to build Roku TVs and we license use of the platform to pay TV providers to deliver video to Roku players. Our media and licensing business is growing faster than our device business and we expect it to overtake our device business in the near future, in terms of gross profit. Q: Famous investor Warren Buffett once said, “In business, I look for economic castles protected by unbreachable moats.” What is Roku's moat (or primary competitive advantage)? A: Our competitive advantage is our software – it is purpose built for TV (as opposed to being built primarily for phones or PCs). This results in a better UI, more content, and a lower HW cost structure. Q: A year ago, you reported that you had sold over 10 million streaming devices in the US. Can you share the current figure? A: We haven't reported an updated device sales figure because it's not a key metric. The real measurement is active Roku accounts – the measure that's closer to households. That number is at 7.5 million active Roku accounts in the last 30 days. The other key metric is usage. In 1H 2015 our customer streamed 2.5 billion of hours of entertainment! Q: What does Roku's user base look like, demographics-wise? Is Roku trying to improve their market share with any specific demographics? A: Everyone watches TV, so we have a pretty wide demographic. Q: Recently, Amazon announced its new Fire TV and Apple its new Apple TV. Which one do you think is better or more interesting? Why? A: I like the Roku 4 the best. NPD and Parks have reported that Roku is the #1 streaming player in the US. Q: You've helped some major media companies (e.g., CBS) to develop their Roku channels. How do you decide when you are going to help a company to develop a Roku channel? A: We work closely with all of the top content providers in the industry. Q: Personally, what are some of your favorite Roku channels? A: Hulu, Netflix, Pandora, PBS and Galaga (a game). My favorite Roku feature is the headphone jack on the remote. Q: What's next for Roku? A: I think you are referring to the Roku 4 which we announced on October 6. It's available now. However, we are working on a lot of new things… It's a great time to be in the TV streaming business! Q: What do you think the streaming/cable landscape will look like in five years? A: I believe that all TV will be streamed and, with it, all TV advertising will move into the modern internet area. More content will be available, and customers will have more choices. Proprietary cable boxes will disappear, and all video services will be apps or integrated into a handful of streaming platforms. The Roku OS will be a leader for the big screen TV with a large market share.